Lots of parking and in an up and coming neighbourhood of London called SOHO, great zoning . Price includes land & building only. 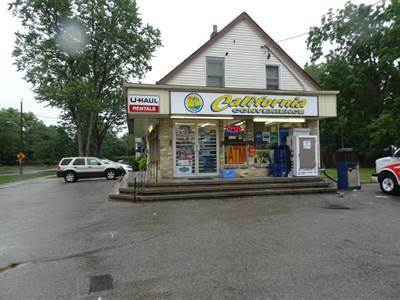 Variety store business, goodwill $69,000 plus inventory. Please call listing Realtor for appointment, 24 hours minimum notice, do not go direct. Wow oh Wow! 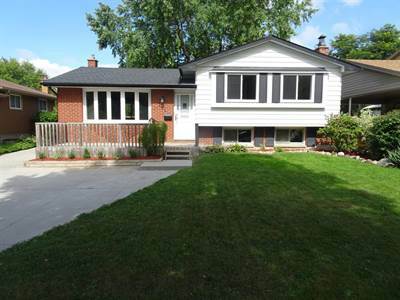 This one floor 3 bedroom bungalow is in immaculate shape and is almost new again! Furnace, A/C 2018, windows, doors, garage door, stainless steel fridge, stove, dishwasher, built in microwave, jetted tub, electrical outlets, basement rec room, wall coverings and flooring! Roof 2014! Whew! On the main floor, are 3 bedrooms, the master has an ensuite bathroom with a jetted tub, a walk in closet, even a barn door! There is another bathroom on the main floor, a large family room with a gas fireplace, an open kitchen with a breakfast bar, a patio door to the fenced back yard. The lower has a huge, finished rec room, a 4 piece bathroom, a den/study, large laundry room , even a work shop! To top that all off, you have location, location, location, access to bus routes, shopping, churches, schools and easy access to Veterans Memorial Parkway. Much, much larger than it looks, make your appointment today! 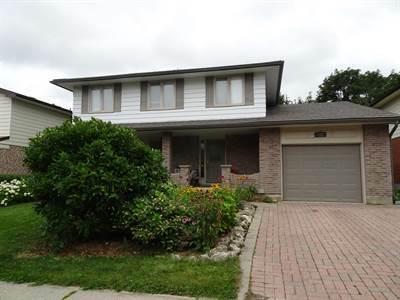 This 4 level side split house in the sought after neighbourhhood of Westmount in London Ontario has been completely refurbished over the past 3 months. New roof and most windows have been replaced. A beautiful stamped concrete double car driveway for 4 cars and a completely fenced back yard with a massive deck and a covered portico. From the neighbourhood friendly front porch you enter the bright open concept kitchen, living room, dining room , kitchen and breakfast area. New quality laminate fllooring, lighting and a 7 foot centre work station, 4 new Maytag stainless appliances, new kitchen cabinets, counters, lighting and plumbing and a beautiful ceiling that is worth a long look, and of course freshly painted. There is a 4 piece and a 3 piece brand new bathroom, along with new fixtures and plumbing, New lighting in the bedrooms, new floors, doors and freshly painted. Downstairs is a large rec room with a wood burning fireplace, the 4th bedroom and a large furnace room with a work bench and new electrical panel. The majority has been entirely rewired. This house is not on MLS yet, it is an exclusive listing and you may want to get a jump before other buyers and their Realtor break down the doors to come and see it. Getting ready to sell a house London Ontario , did you know that once your home goes on the market, it becomes a product. These tips and ideas allow you to highlight the best of your home and de-emphasize its flaws. It’s not about decorating, but actually turning your home into a model, to appeal to the broadest range of prospective buyers. The goal is to make people feel like they could live there, and the best way to do this is to “neutralize” the surroundings. Try out these helpful home selling tips from stagers and real estate pros—things you can do for little or no expense—to put a home in prime showing shape and my experience tells me, along with my clients, you can get back $2.00 for every $1.00 you spend! How’s that for a great investment? Clear out closets and clutter—give away or pack up toys, linens, and small kitchen appliances to store offsite. Buyers are also forgiving of storage boxes neatly tucked away in a garage or basement. Bring in another pair of eyes—even if it’s not a professional. That person may see problems you have missed. Get 50 more of these inexpensive tips and ideas to get your home sold! Ontario Minister of Housing Chris Ballard announced that the 2018 provincial rent increase guideline has been set at 1.8%, up .3% over the current year. As in previous years, this amount is the maximum that a tenant’s rent can be raised without approval from the provincial Landlord and Tenant Board, and applies to all new rent increases made between January 1 and December 31, 2018; it is also retroactively effective as of April 20, 2017. Unlike previous years, however, the ministry’s annual rent control guidelines have now been expanded to include all private rental units, including those built as tenant-occupied premises on or before November 1, 1991. This anticipated change results from the recently-passed Rental Fairness Act, 2017 that was introduced to protect an estimated 250,000 Ontario renters living in pre-1991 units from unreasonable and/or unpredictable rent hikes. to read the entire Government of Ontario announcement. 8 Year Old House For Sale London Ontario With a View! • 1940 sq ft , 3 1/2 bath , 4 bdrm 2 storey custom built house in a new, upscale area of London Ontario – For sale for only 549900 CAD . Like new, just bring your toothbrush. 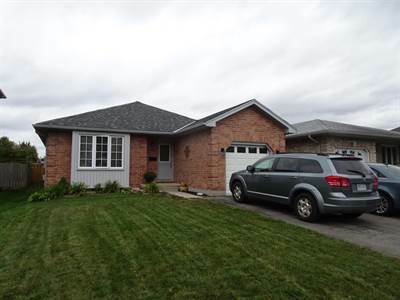 This 8 year old custom built home by Sifton , 3 + 1 bedrooms has been meticulously maintained and looks like a model home. 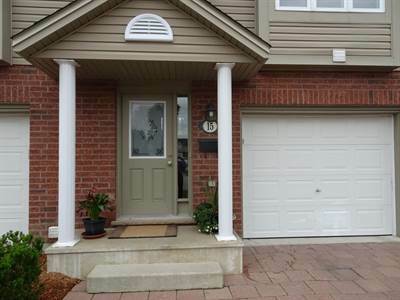 Professionally designed landscaped grounds with a beautiful stamped concrete patio , fenced back yard and sitting in the Wickerson Heights neighbourhood. Enjoy sunsets, a great view and relaxing . Sit on the back patio and bask. 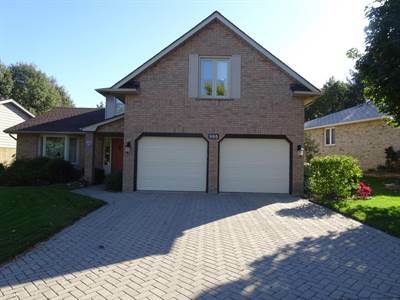 From the grand foyer you will notice the high end finishes and upgrades, the open concept , the majestic kitchen, separate living room and a separate dining room. Maple hardwood flooring with ceramic floors in the kitchen and carpet in the bedrooms. Main floor laundry room. The other 2 bedrooms are a great size and the the guest bathroom is well laid out. The house is wired on all 3 floors for sound & has central vac. A finished basement offers a 4 th bedroom or den & and 24.2′ x 15.9′ rec room and the 4th bathroom only needs to be finished. An oversized double car garage and an interlocking stone driveway. Check out the 141 ‘ deep lot, room for a pool if required. If you cherish quality, a quiet lifestyle and a peaceful setting, why not have a look, this house appeals to those who appreciate serenity! A very solid 12-plex in good condition. 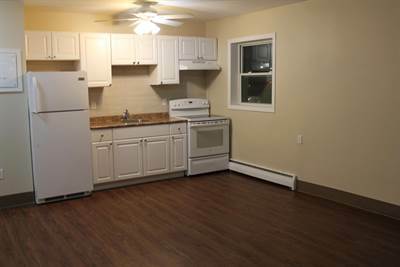 All 11-2 bedrooms renovated within the last 3 years including new kitchens, fridges & stoves. Bathrooms have new tub surround, fixtures and vanity. New vinyl flooring throughout. Building has new windows (all but 2). Bachelor unit not in use. Separate meters, security cameras & controlled entry . Tenants pay own hydro, separate meters, Coin-op laundry (owned). Ample parking and on direct bus route.